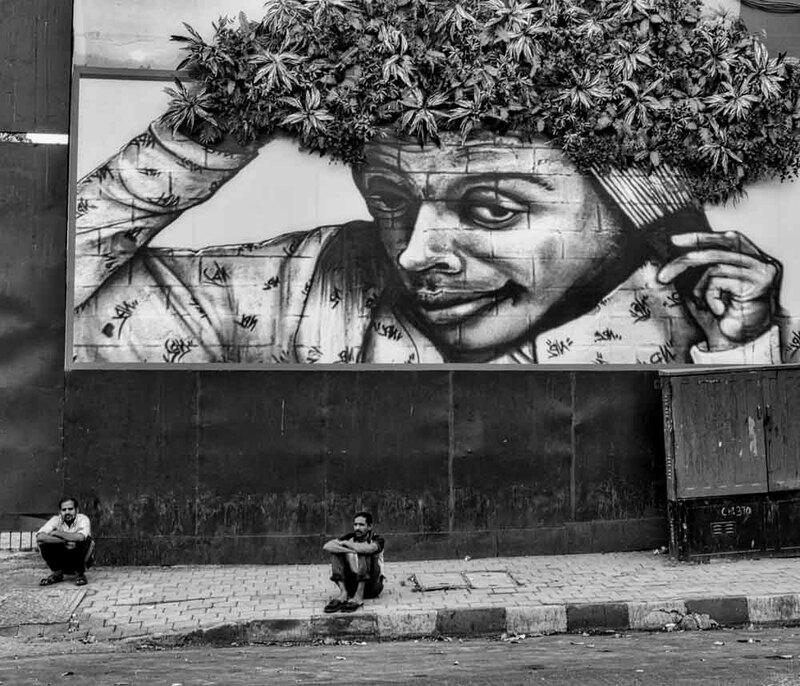 And as I came around the corner and saw the image with hair made out of plants I had to shoot the picture. I had just a split second before the traffic would rush before the scene. A split second is what photography is about, right? The little dial on top says 500 of a second. That means in one second you could catch 500 pictures, but I've only made the one that scored for me, and that's the one that's on top.